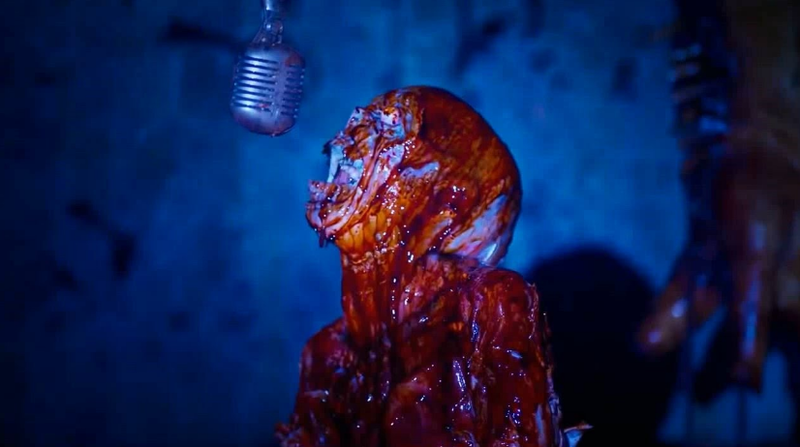 It's nice to be one of the few people who has seen an under-the-radar, low-budget, throw-cares-to-the-wind horror flick, because there's a sense of community that comes with watching something that precarious, that delicately connected and held together. It might be strange to think of horror as being fragile, with the monsters and the decapitations and the blood and whatnot. But that's exactly what the genre is, a delicate balance between production, money, fandom, and expression, with the resulting final product usually something that almost no one sees. I try to keep that in mind when I watch b-horror, the time and energy and work that goes into a film that's almost guaranteed to be unloved, at least by more than a dozen people. But I still have to judge it as a movie like any other, no one gets a free pass, no matter how much I want to give some points for effort. Special Agents Novak and Boon have entered Death House after years of training, bitter mind games, and graduation violence, to become a part of the next step in human evolution. Death House is a maximum security prison far underground that houses the worst mankind has to offer. Killers, rapists, Satan worshipers, men who think they physically are Satan; it doesn't get any dirtier than down there, but that's where the experiment comes in. 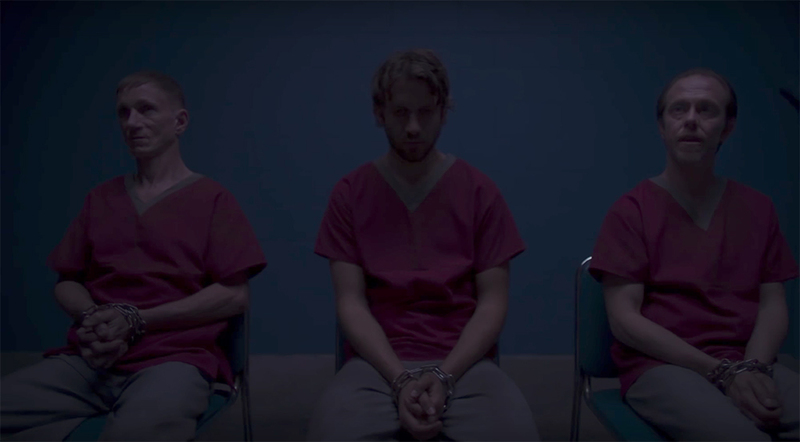 Scientists, using these evil inmates and some "volunteers" from topside, are trying to pull the evil out of the minds of the evildoers, training their psyches to be moral though their bodies fight against the change every step of the way. Right or wrong, the government is running this jail like a factory for pure thoughts, with limited success so far, but the future is bright. Novak and Boon get a special, virtual tour of the facility, in order to see all its evils, and then get to walk to floors, experiencing it themselves firsthand. But a power glitch, or perhaps something more sinister, shuts down the security of the facility, all the inmates escaping their cells to kill whoever they please in whatever many best suits their psychosis. The agents are trapped in an elevator, along with esteemed Dr. Fletcher, and they'll have to fight their way out in order to survive, heading down into hell in order to once again see the light. Despite the insanity of this plot, you can tell that this movie was made with genre love, and that ends up being its saving grace. Or, more specifically, its only redeeming characteristic, but we'll get to that in a second. The amount of time and focus that must have gone in to making this bizarre blood-binge happen is unfathomable to anyone but a filmmaker, and I have to imagine that the entire cast and crew are proud of themselves for what they were able to accomplish. For a b-movie, there were a lot of elements brought together to create a unique world, more than is typical, and that could not have been easy. The facility, the soldiers, the prisoners, the levels, the virtual reality, the backstories, the plot offshoots, the creatures, the adventure; I'm impressed that it all made its way into the final product, that the run time was short, that I was never bored, that this movie exists. BUT, and it's a big one, none of that stops this film from being insane, amateur, minimally-funded, and poorly-acted. It's still a terrible movie, it was never going to be anything but, it never had a real chance of being something more than a slasher with awful actors doing the slashing. And boy were they awful; Palm from Zombeavers, Longo from bad TV, Wallace from E.T., and everyone else seemingly from a random biker bar. The ability to hold a conversation that wasn't hilarious was nonexistent, every single character was beyond bizarre, nothing really make any sense if you looked at it too closely, and by the end I realized that the only glue holding the sloppy project together was love for the making, passion for the creating, and the camaraderie that comes from being a part of something so niche. Video: No technical details are available concerning the video. The picture quality was bad, of course, but nothing else would be expected. Audio: No technical details are available concerning the audio. The sound quality was fine, I guess, with a few odd song choices along the way. Extras: There were a few special features on the DVD, if you're somehow thirsty for more. Director's commentary can be selected to be enjoyed while watching the film. There are nine different interviews to peruse. There is a nine-second clip of Cortney Palm jumping into a giant inflatable. A slideshow an be viewed to appreciate the still images. And there are 11 trailers to view, including one for the feature film. Skip It. I can't recommend anyone watch this movie except the most fervent horror enthusiasts, since the only reason to watch is to appreciate how much other people appreciate the genre that you most appreciate. That's it, there's nothing else to hang your hat on, and that's too bad, because there was a lot of love poured into this film, just not a lot of talent to accompany it. It simply slides through the gross and the super-gross while riding on a story that's one giant stretch, with a cast that wouldn't make the cut on most other sets. The video is as poor as you'd expect, the audio is alright, there are a few bonus features for those who want extra, so the technical aspects don't completely fail the feature, but you'd better not rely on them too heavily either. 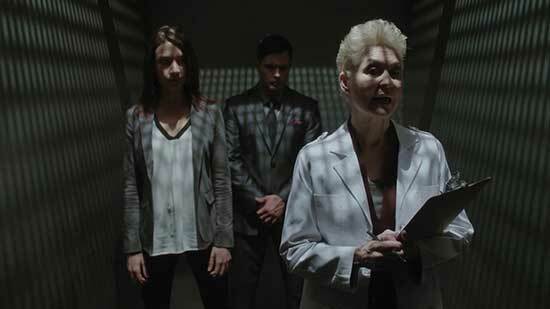 Death House is unreliable in its own right, fraught with too many flaws and not enough foundation, as it tries its best to please its base, which is admirable, if not exactly a reason to tune in.